From all this to a backpack? 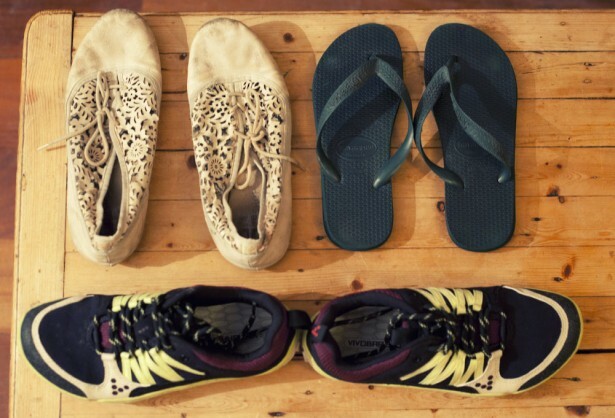 What to pack for our trip was a questions that puzzled me for weeks. It’s tricky enough when you’re going away for a couple of weeks, let alone when you have no fixed time and your journey is likely to traverse all seasons from -30 to 40 degrees. 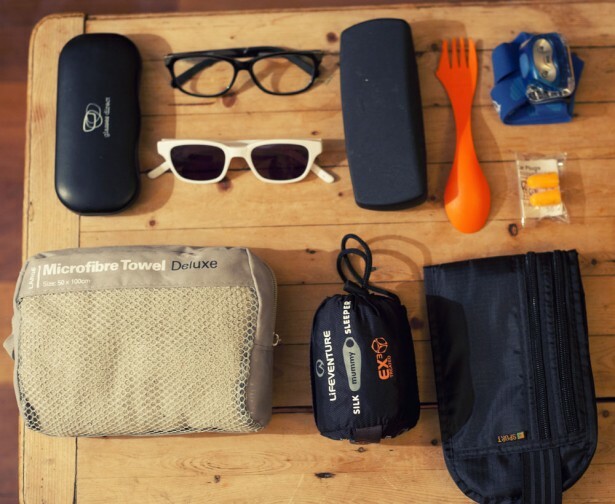 On top of that, I was really keen to keep my backpack light and ideally be able to take it on buses with me or even as hand luggage on flights. I searched everywhere for tips on how to pack a backpack. 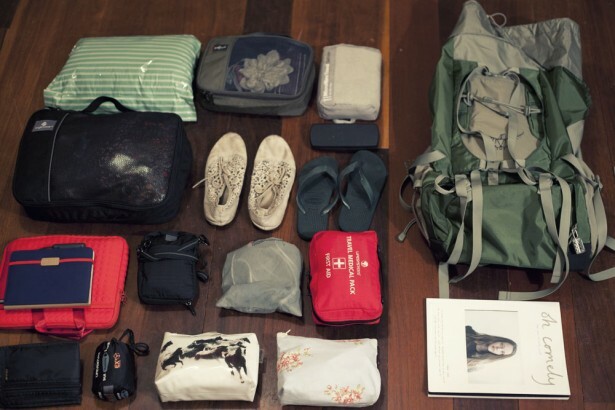 The big question: how to pack a backpack? I was inspired by the couple from Never Ending Voyage who travel with just a 35 and 45 litre backpack. At first this seemed impossible (in the past my bag was 60 litres) but slowly, and with a bit more research, I realised I could do it. I tested putting all my luggage into an old rucksack, which was about 40 litres, and there was still room for more. So out I went and bought a 38 litre backpack. This was a much trickier endeavour than I first realised so I have written a separate post on choosing the right backpack. Unfortunately, as comfort was my number one priority, I had to compromise on the shape of the bag. This means that it doesn’t lock and it looks bigger than its volume, meaning it’s harder to sneak onto buses and planes as hand luggage. It is, however, the perfect fit. Steve bought his 58 litre backpack the year before, which packs down quite small, so he wasn’t keen to buy a new one. Ideally, he’d have bought one about the same size as mine. Steve also had to bring a second bag for all his filming equipment. This bag is horribly heavy but necessary for his work. On the bright side, it has proved very useful as the bag locks securely so sometimes we use it as mini-safe for our valuables in hotel rooms. The best thing I picked up when researching online was the idea of packing cubes that can compartmentalise your luggage. This has proved incredibly useful, not only for saving space but for keeping everything organised – we’re not sure how we coped without them! So what did we pack in those bags? Definitely more than we strictly need! I have a few frivolous items that I might lose along the way, but I decided to see how I’d get along with all I wanted, some luxuries included. I was tempted to use the extra space in Steve’s bag, but couldn’t bring myself to add the extra weight, especially as he has the camera bag. 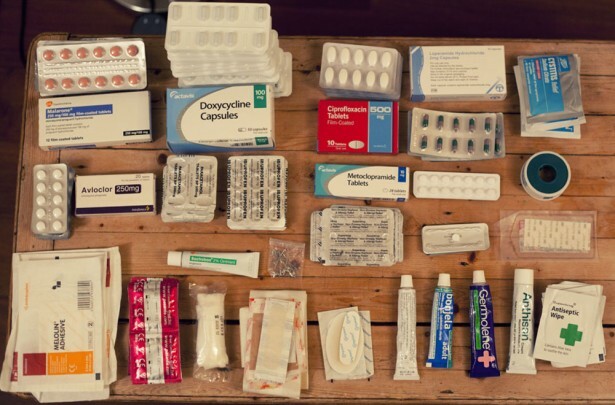 As it is, we carry our own stuff, and I take the toiletries and Steve takes the medical kit. Here’s the complete packing list with photos. Small Kathmandu travel wallet for cards, passport, camera and important documents. Debit and credit cards – I spent quite a bit of time working out the best ones to use abroad to avoid high fees. A great resource for this can be found on Money Saving Expert. International driving licenses – we nearly didn’t realise we needed these, but got them very easily at the Post Office (takes about 20 minutes). We also emailed photocopies of all our important documents to ourselves and Steve’s parents. 3 pairs of light cotton trousers – these pack up tiny and are really airy. You can also put tights under them in cold weather. All of this is for when we hit the colder climates and is tightly packed in a vacuum pack at the bottom of my bag. 2 x tight socks – these a ugly little things but my feet get cold and I won’t wear socks with sandals so these are ally useful for spring nights. Vivo barefoot trail runners – I’m not a big hiker and hate hiking boots so was delighted to compromise with these trail shoes. They are super lightweight, quick drying and have excellent grip – perfect for shorter hikes. I also like the philosophy behind them about walking barefoot being better for you. White summer brogues – these are a bit of a luxury item but they are really light weight and good for when you want to look a little smarter than flip flops/trainers. 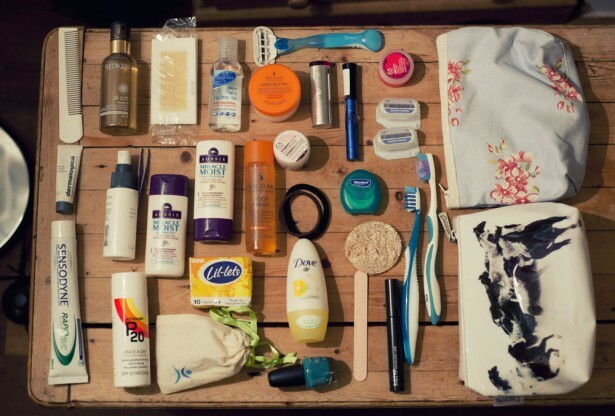 This all fits into two small wash bags. Mooncup – it can be hard to find tampons so this is brilliant. It’s also much better for the environment. Travel facewash, toner and moisturizer – I know I could use soap but these things fitted so I thought why not. Perhaps I’ll get rid of them later, but for now a little luxury is good. 2 100ml Riedman all day sun tan lotion – very useful and a brilliant IDE but it does run out quickly. We’ve kept one to use on our faces but otherwise buy sun tan lotion along the way. Mascara, glitter, lipstick and nail polish – this is completely unnecessary, but agin it fitted and I’ve been enjoying using them occasionally for a night out. I am get rid of them at some point. Malaria tablets – an annoying bulk especially as we’re unsure when we’ll need them, but they are essential. Levonelle – my doctor suggested I bring this just in case. I don’t foresee needing it but it’s better to be safe than sorry. iPhone – I switched to pay as you go before I left but can still use this phone in an emergency. It has been unlocked so I’ll be able to put different sim cards in it. it also doubles up nicely as an iPod. 1 travel towel each – Steve’s is a trek mate towel. Victoria’s is from Kathmandu travel shop, and is softer and more like an ordinary towel than Steve’s. Jungle speed – an excellent card game which is brilliant for playing with the people we meet. 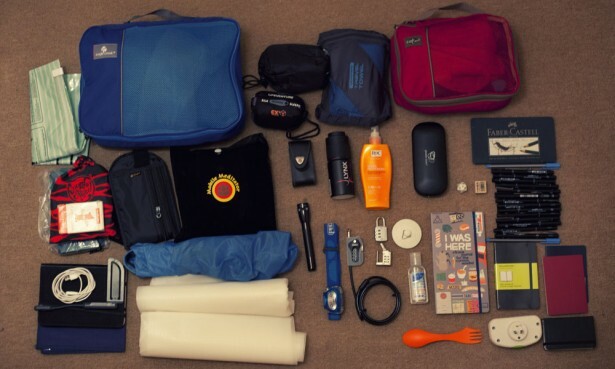 What’s your take on how to pack a backpack? We’d love to know what you take when you go away. Pleased you found it useful! Those white summer brogues are super cute! I’m trying to come up with a good alternative to sneakers/flip flops for dressing up a bit in South America and those are perfect! 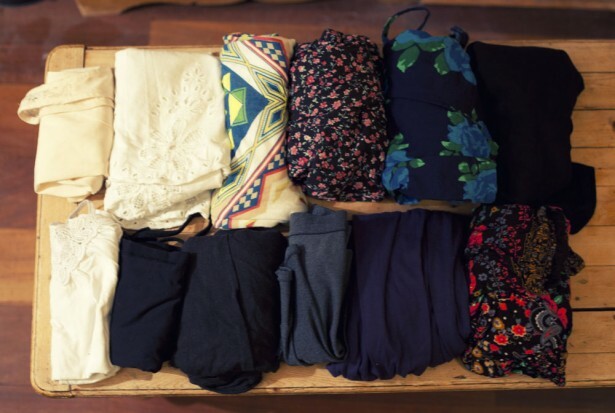 Lots of great packing tips here, thanks guys! How much longer are you two in South America? I’ll be starting in Colombia and staying until my Visa expires in February. Then I’m thinking Peru or Ecuador. 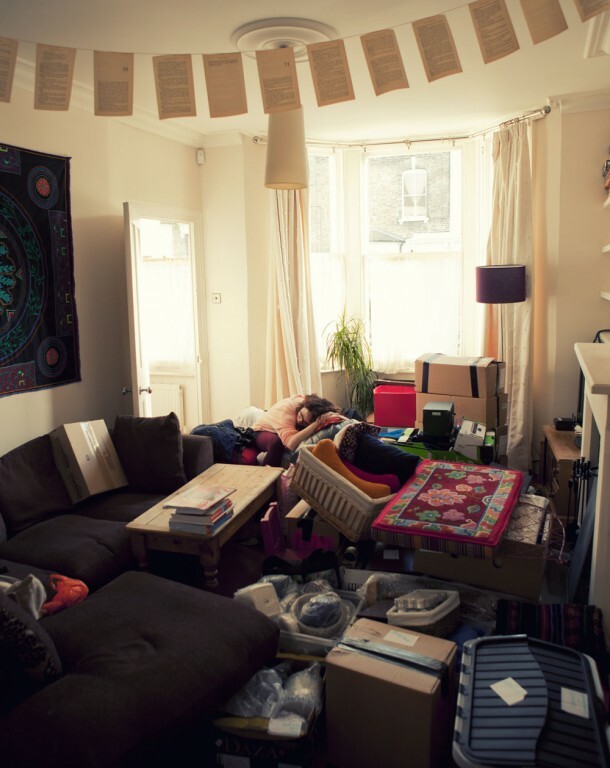 Nice article…i belive there is no one who is not strugling with packing…i always have the biggest bag…and still find it too small! So thank you for this article…am planing a new trip so its right in time! Enjoy your travels! Get packing cubes! That is my number one tip, for sure. I am going to need to pack for all 4 seasons for a three month trip I’m going on soon and this article basically covers it all! Thanks so much! I will definitely be using your lists as references when I begin packing. Thanks for this. I’ve been agonising on what to pack. I travel as light as possible, did Cambodia/Laos/Thailand for three months with only 25l and had no real problems till I started collecting stuff for the return home. I’m going back to Laos and on to Burma for six months so feel the need to trade up, buy like you guys I prefer to keep my pack close to hand and as cabin luggage if I can. The Kestral 38 seems to fit the bill, though I like the look of what is actually a climbing pack, the Osprey Mutant 38, which has a squatter profile and whilst the ice pick carriers aren’t going to see any use it looks like I could fool airlines with its size. 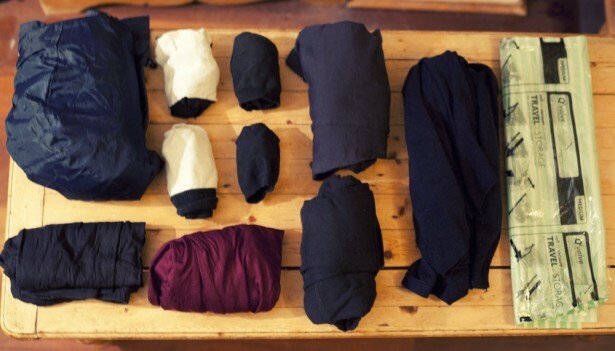 The packing cubes are a revelation for a top loader and a vac bag for later use is inspired. Thanks for the informative post. So much of the Internet is full of crap, but the good stuff shines through. Enjoy your day/night. Wow, I’m so impressed by how organized and efficient you are with your packing. My biggest problem is I’m always wanting to over pack and take too much stuff. I’m not sure i could ever get to the point you all are at, but it’s sure inspiring and something to aspire to! This is a neat way of packing oh the organization. The essentials are very essential! Exactly what I need Victoria. I am about backpacking for a hiking trip and this lists just made it simpler for me.